I'll add a few more from time to time, but please chime in with some Ringo spotting that builds the legend. We have a thread elsewhere discussing a newspaper article suggesting it is time for a re-evaluation, I think the history shows his significance from day 1. The Doris Troy album -some of his best work, in my opinion. Doris had a lot of nice things to say about him, think she was taken aback by his performances? Another interesting one, VERY interesting in fact. I took a look at the personnel on that one, Klaus was there as well. Kind of nice that they could still work together even after the split. "When he drummed on my Yoko Ono Plastic Ono Band album, I was totally amazed that he had no difficulty in following the very complex improvisational vocals I did – again, no overdubs." If you've heard the album, you'll know what she means! Yes, I get the impression the two of them felt the split more than Paul and John - they certainly added spark to a lot of the records of that time with some very interesting collaborations. Was any of this under cover names, as was the popular thing in the late 60's/70's? I knew Ringo and George had done a few things, but this sounds much much bigger. I know George used a number of pseudonyms, not sure about Ringo. very good drumming (played alongside with an incredible bunch of musicians, i.e. george, clapton, stills...) in the beautiful first leon russell album. What about all of the films he's been in? Or is it just records? It's all in scope @StarrisonSubmarine - go for it!! Okay, obviously the most well known are The Magic Christian and Caveman. But I just had to post this clip of Candy (1968). (I am SO sorry if some of these aren't available for you to watch! I don't know how to embed videos in the response. ^ I remember all the fuss when Candy came out! And yes, that commercial is just classic. They need to make a best (or worst?) of Ringo boxed film set!! It's the best Liverpudlian Mexican I've ever seen! Great clips! Thanks for bringing them to the forum's attention. As a side note, I never knew Pizza Hut had garlic dipping sauce. Back when the Paul Appreciation Thread thread popped up I thought "Paul don't need a thread like this" since Paul is the most talked about Beatle on this forum. Ringo meanwhile despite still being alive, is the least talked about and too many times when people are talking about the Beatles influence and dynamics, Ringo is left out. His Beatles songs are cast aside with a big chunk of the last 30 in the canon poll being Ringo songs. 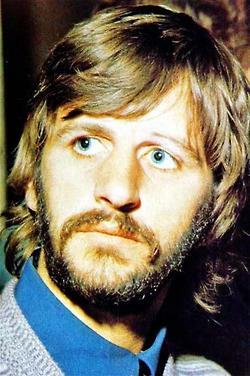 This will be the thread for people to talk about the great Ringo Starr !